Link Building (link building) is generating links from external web pages. These links are called backlinks or inlinks. The purpose of Link Building is to make your website easier to find. Many specialists in the field of online marketing would agree, 60% of your page rank depends on Link Building. The other 40% of SEO. However, good link building is not easy. S & S Online Marketing specializes in high quality link building. Good Link Building means obtaining relevant and quality links to reliable websites. Before visibility in the organic search results of Google, link building is essential. Where Google used to watch mainly to the quantity of links, are now precisely the content of useful links of great importance. In addition, having diversity in your links is important. By as diverse as possible Link Profile, youa��ll score high in Google. Here we look at the number of links that you already have at this time. This will give you a good understanding of what you stand for. As a result, we obtain a good picture of how your position is in comparison to your competitors. Through a Keyword research, we find out which words are important to your business. These words, we can then use to link to your website. During the investigation pagerank we get a good picture of the position that currently occupies in the search results. Then we go to work on the Link Building. To start, we lay a foundation so that you have some good, useful links immediately. Then, we will continue to expand this number. So now we have build a large number of backlinks for you. In addition, we may, in consultation with the customer say on subject-related blogs. This is a good way to post links to sites that are relevant to you. Furthermore, we will report to you on as many holding registers. In these registers, we can mention your company with links, tags and address. This is so convenient for your findability in business registers and for your visibility on Google. We also send newsletters to you. In this newsletter, you can make your products more attractive to your customers. We can also find links and tags in place. Of course, this is all in consultation with the customer. 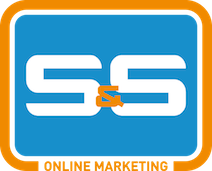 Are you interested in this service of S & S Online Marketing or have any questions? Please feel free to contact us!